'Dance of Death' (2014): I hijacked a teenagers disco and played a Medieval 'Dance of Death' tune. It went down like a lead balloon but I still like the comparison. 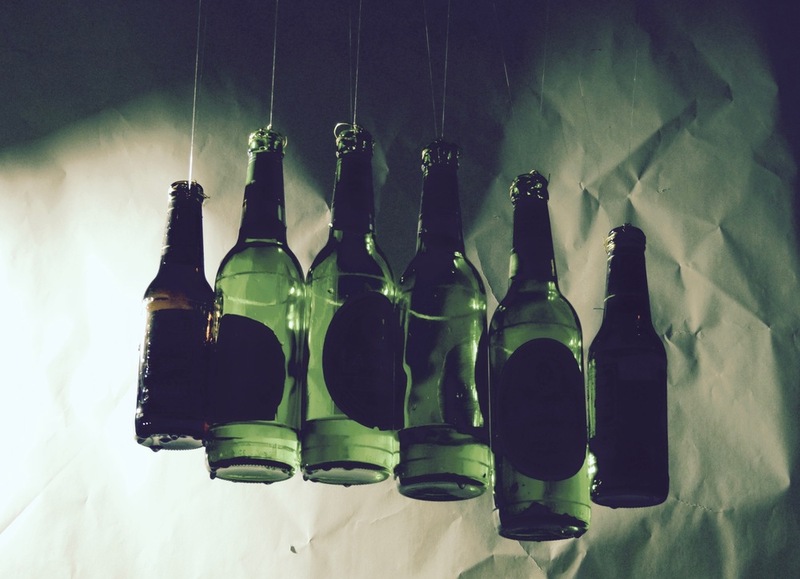 An attempt at making 'Newton's Cradle' (2014) out of beer bottles - the ultimate executive toy. I was thinking about how the central ball never really moves as a metaphor for social hierarchies. 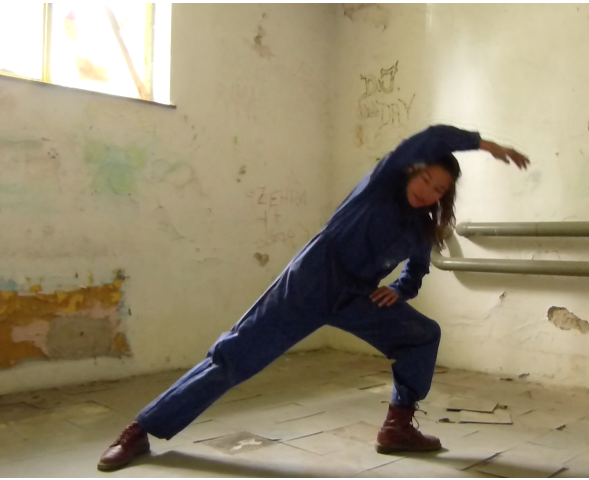 'Work Out' (2013)- an exercise film for factory workers in Slovenia (I probably have to get a bit fitter for this to be convincing!). 'I look therefore I am' (2014): a seemingly endless and arbitrary list of beautiful things from a scary doll woman. 'Dancing Lace' (2014): printing traditional lace patterns on a white dress through the action of dancing. I am still attracted to the idea of labour intensive processes that complicate simple mechanised tasks and will pick up the thread of this later.